Manchester City wing-back Oleksandr Zinchenko says Chelsea must accept their thrashing on Sunday. Zinchenko said he had no sympathy for Chelsea, insisting City had to do their job in terms of the title race and score a glut of goals in the process. Asked if he had sympathy for Chelsea, Zinchenko said: “No, this can happen. It's football. You can score and concede, but today we had a bit more luck. “But it comes from hard work on the training pitch. 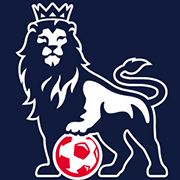 The Premier League is the most difficult competition in the world. You have to be ready for each game."